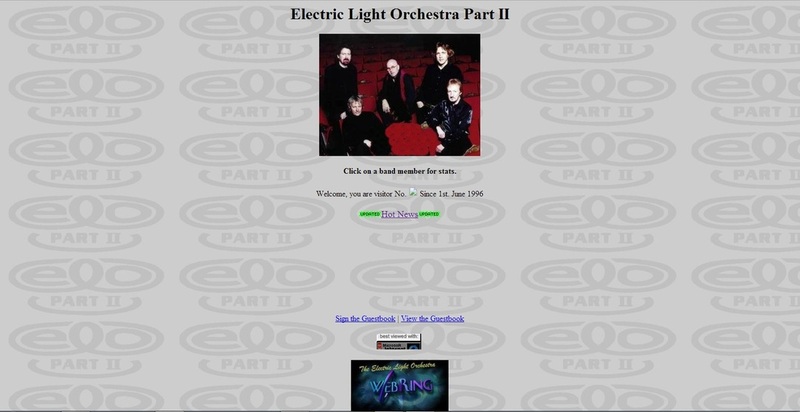 This section of my website features some snapshots of old E.L.O. 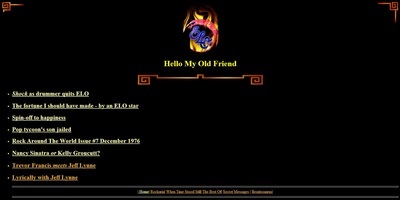 and related artists websites that sadly no longer exist. 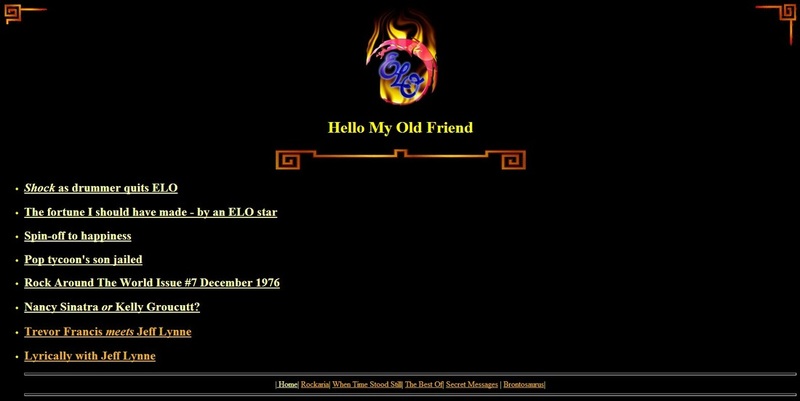 'Bluesky' - The Asian ELO Website this was online from 1994 until about 2005 hosted by Stephen Greenwood. 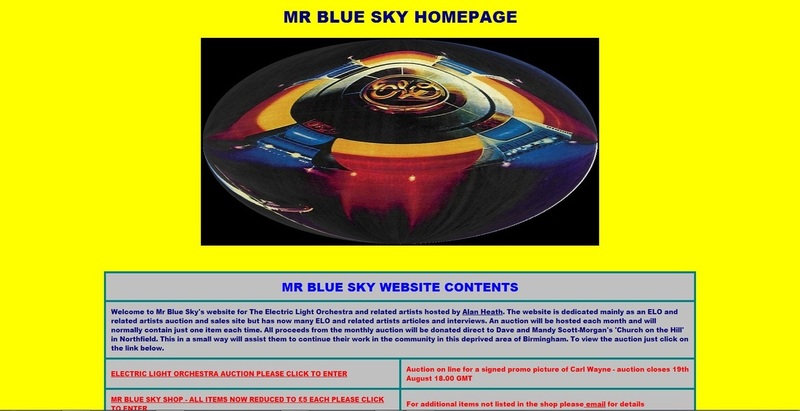 Alan Heath's Mr Blue Sky Website ran from 1994 until 2001. 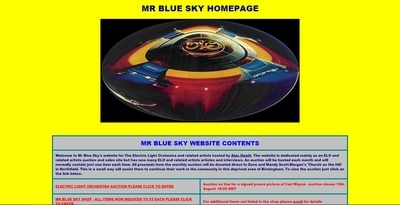 Alan kindly gave me permission to host his site which can be accessed via the drop-down tabs. 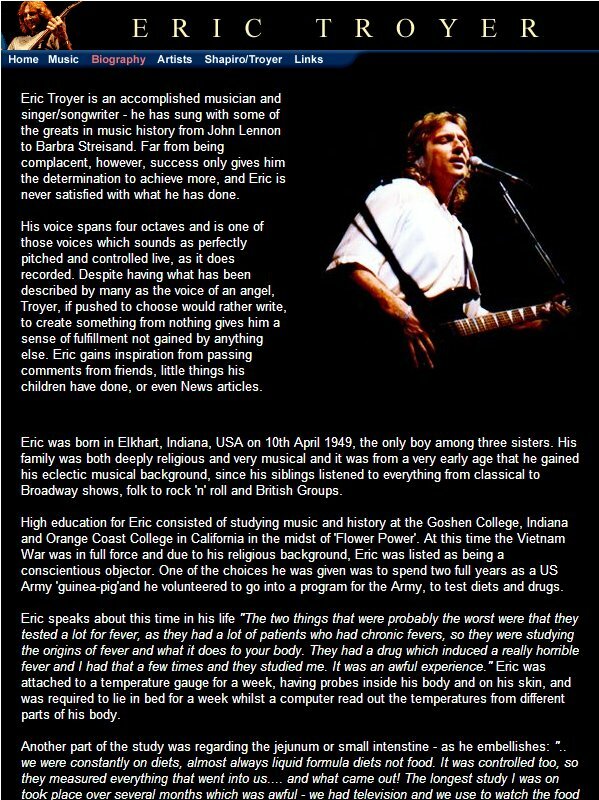 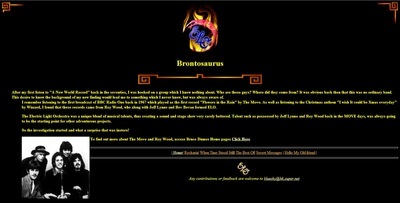 Eric Troyers original official website dated around 2000. 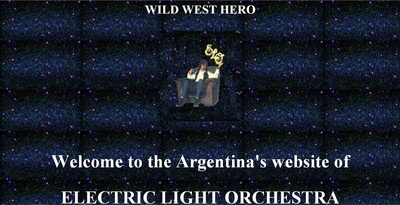 Jose Luis Schenone's Wild West Hero site which ran from 1998 until about 2006. 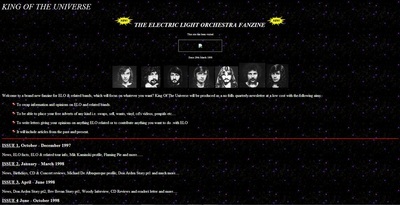 King Of The Universe Fanzine website by Alan Heath & Mark Dodsworth was online from 1998 until around 2004. 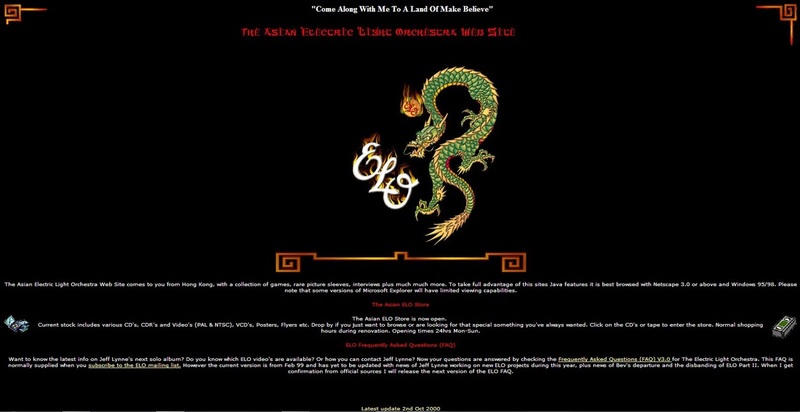 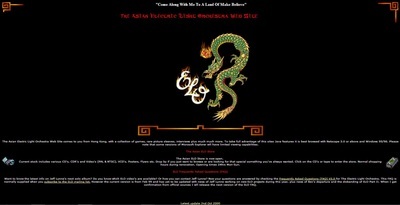 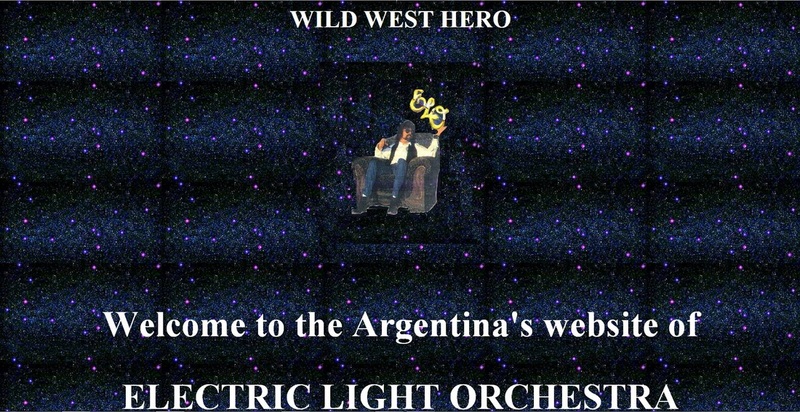 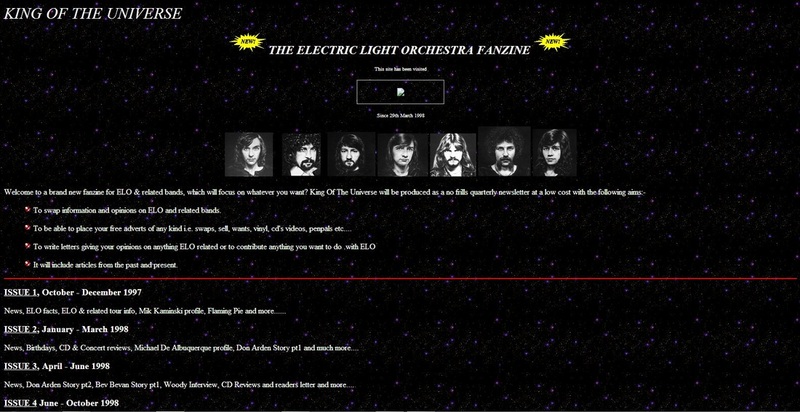 Official ELO Part 2 website hosted by John Kilcline throughout the 1990's.